A senior US State Department official has slammed Israel’s new cabinet for its declared opposition to a two-state solution, saying it would make hard for Washington to continue protecting Tel Aviv at the United Nations. 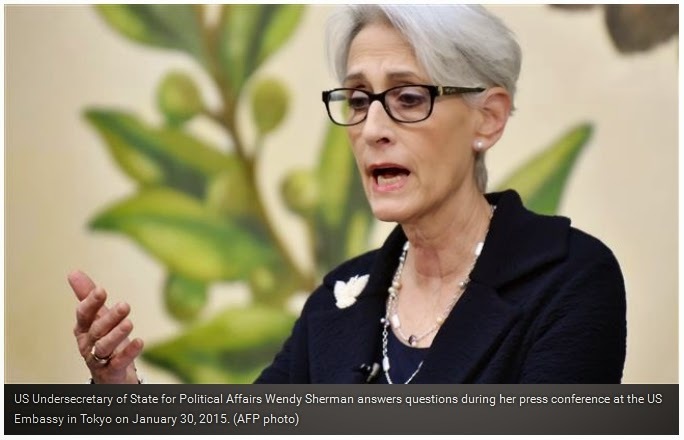 Wendy Sherman, the US undersecretary of state for political affairs, made the remarks on Monday while speaking at the Religious Action Center of Reform Judaism in Washington. Sherman stressed that the US is closely monitoring the situation as a right-wing cabinet is being formed under Israeli Prime Minister Benjamin Netanyahu. “If the new Israeli government is seen as stepping back from its commitment to a two-state solution … that makes our job in the international arena a lot tougher,” Sherman said, referring to Netanyahu’s pre-election promise to never allow for the creation of a Palestinian state. Netanyahu had declared shortly before last month’s Israeli elections that he rejected the idea of a Palestinian state, which has been a “key element” of US foreign policy. Netanyahu’s radical Likud Party won the March 17 vote. He attempted to backtrack on his comments after he was reelected, but the White House believes the damage has already been done. Even if you accept Netanyahu’s reversal in position, “it’s hard to envision” how to get to a secure Palestinian state, US President Barack Obama said. Obama also said he would reevaluate the relationship between Washington and Tel Aviv following Netanyahu’s comments.